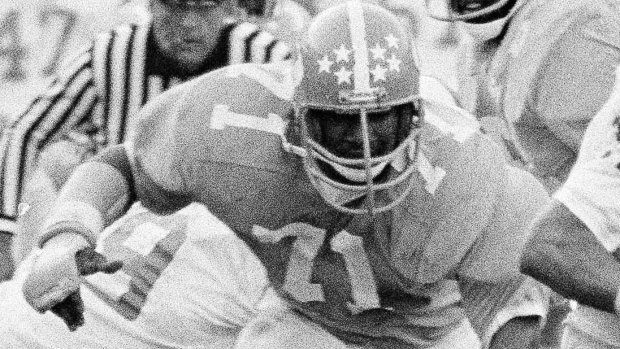 CHAPEL HILL, N.C. — Former North Carolina defensive tackle Dee Hardison, a member of the North Carolina Sports Hall of Fame who played 11 seasons in the National Football League, has died. He was 61. Tim Butler of Butler & Son Funeral Home in Clinton confirmed that Hardison died on Saturday at UNC Hospitals in Chapel Hill, where he had been hospitalized for several weeks. Hardison was named to The Associated Press all-America first team in 1977. He was co-captain of the 1977 team that went 8-3-1, won the Atlantic Coast Conference title and finished ranked 17th after losing to Nebraska, 21-17, in the Liberty Bowl. Hardison was a second-round draft pick of the Buffalo Bills in 1978 and played there for three seasons. He spent five seasons with the New York Giants, two with the San Diego Chargers and a year with the Kansas City Chiefs before retiring after the 1989 season.